Cadillac Middle East has announced the arrival of a limited run of 25 cars of the new Championship Edition of the ultra-high-performance model – the Cadillac CTS-V super sedan to the region. The Championship Edition model celebrates Cadillac’s first-ever endurance racing title, representing the 2017 International Motor Sport Association (IMSA) Manufacturer, Driver, Team and Endurance Championships, secured in the first year of the brand’s return to the long-distance sport. The exclusive Championship Edition V-Series model will be available for Middle East customers who value individuality and high-performance driving. The special edition model includes race-inspired packages on the exterior and interior features, including color trims, seats and accessories that injects a further sense of high-octane performance to the driving experience. The Championship Edition is available in Black Raven or Crystal White Tricoat exterior paint with Cadillac V-Performance graphics located on hood and rear spoiler, Red Obsession side-view mirror caps, DPi-V.R graphic on the quarter windows, Red Brembo® brake calipers and forged polish-finished alloy V-Series wheels with Midnight Silver painted pockets. Highlighting the interior of the Championship Edition is the Morello Red interior detail package that includes Jet Black RECARO® race-inspired seats, red front and rear door armrests and Morello accented high gloss carbon fiber interior trim. 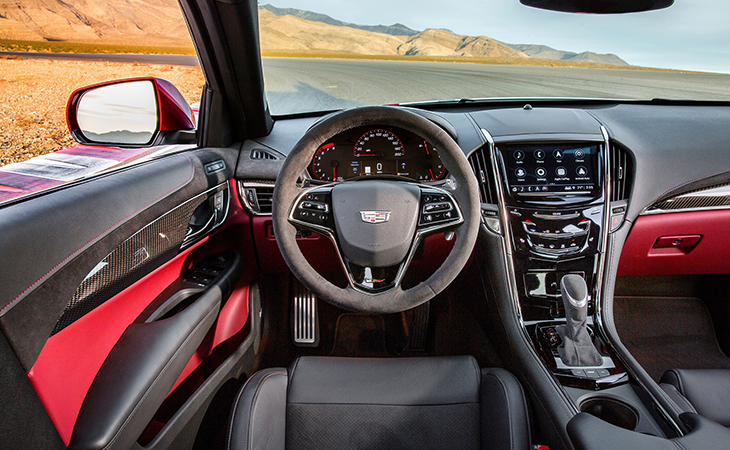 Other interior features include the Performance Data Recorder with Cosworth Toolbox, sunroof, the industry leading Rear Camera Mirror and next-generation Cadillac user experience. Commenting on the announcement, Christian Soemmer, Managing Director of Cadillac Middle East said, “Our V-Series model range has always held a significant place in the hearts of car enthusiasts in the Middle East. With the introduction of the exclusive V-Series Championship Editions to the region, we are happy to be contributing even further to the high-octane spirit of our existing and new customers who desire individuality as well as a premium performance sports sedan”. The all-new Cadillac V-Performance DPi-V.R prototype race car began the IMSA WeatherTech SportsCar Championship season with seven-straight race wins and secured the Manufacturer’s Championship by winning seven of the 10 races, including the “36 Hours of Florida”. Before its return to endurance racing, Cadillac had a 14-year hiatus from the sport, focusing efforts on sprint-format GT racing in eleven seasons of the Pirelli World Challenge, where Cadillac amassed 33 race wins, 121 podium finishes, 25 pole positions, five Manufacturer Championships, and six Driver Championships including the 2017 SprintX Championship.